Q: What is the status of the recently proposed franchise legislation for the province of British Columbia? A: On October 5, 2015, the B.C. government introduced its long-awaited Bill 38, the Franchises Act, for a first reading in the provincial legislature. The bill got a second reading on October 7 and a third and final reading on October 20, before receiving royal assent on November 17. As such, British Columbia has now become the sixth Canadian province with franchise legislation, joining Alberta, Manitoba, Ontario, New Brunswick and Prince Edward Island. (a) enact a duty of fair dealing among the parties to a franchise agreement and provide legal remedies for any breach of that duty. (b) confirm franchisees’ right of association and provide remedies for any infringement of that right. (c) require disclosure by franchisors to prospective franchisees of financial and other information about the franchise before the signing of the franchise agreement. (d) provide conditions for the rescission of a franchise agreement. (e) define circumstances in which there may be liability for damages. (f) prevent the waiver of application of the act in the event of any claim or dispute under a franchise agreement that is subject to the act. Next, the provincial government will develop regulations that will set out the particular details of compliance with and enforcement of this new franchise legislation. Given the swiftness of the legislative process so far, such regulations also seem likely to be issued quickly. The Franchises Act is the result of several years of study and consultation. The process began in fall 2012, when the British Columbia Law Institute (BCLI) announced the commencement of a project to examine whether or not there was a need for franchise legislation specific to the province and, if so, what provisions such legislation should include to provide legal protection for franchisees operating within the province. Once this project was finalized, a consultation paper about a potential franchise act for British Columbia was made public on April 2, 2013. 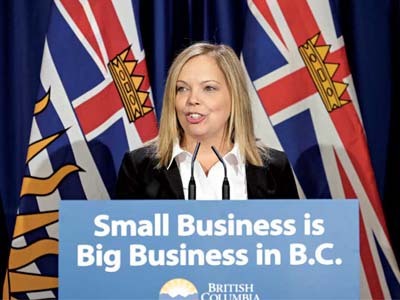 The Legislative Assembly of British Columbia passed the Franchises Act in late 2015. The paper also followed a report called An Agenda for Justice, which was released by the British Columbia Branch of the Canadian Bar Association (CBA) on February 5, 2013. This report presented a series of judicial and legislative reforms and recommendations aimed at improving access to justice for all British Columbians. Among its contents, the report prominently featured a discussion of franchise legislation. In its consultation paper, BCLI clearly recommended the province adopt franchise legislation, explaining how this need had arisen from the growing popularity of franchising as a business model, which had been adopted by a wide variety of vendors in both business and retail sectors. Expressing concerns similar to those in the CBA report, BCLI noted a franchisee is often required to make a significant investment in and commitment to acquiring his/her franchise business, but the franchisor typically has a disproportionate balance of power in the business relationship, holding information the franchisee does not know and imposing non-negotiable standard-form franchise agreements. Then, on March 31, 2014, BCLI published a final report containing two parts. The first examined whether or not British Columbia should enact franchise legislation to regulate the business model, with consideration given to the legal nature of a franchise, the dynamics of the franchisor-franchisee relationship and, finally, franchise legislation already in force elsewhere in Canada and adopted internationally. The second part went further with proposed draft franchise legislation for the province.